The composite structure of the proposal arises from the need to draw the square as a single green surface that splits at certain points, thus bringing forward three main objectives. 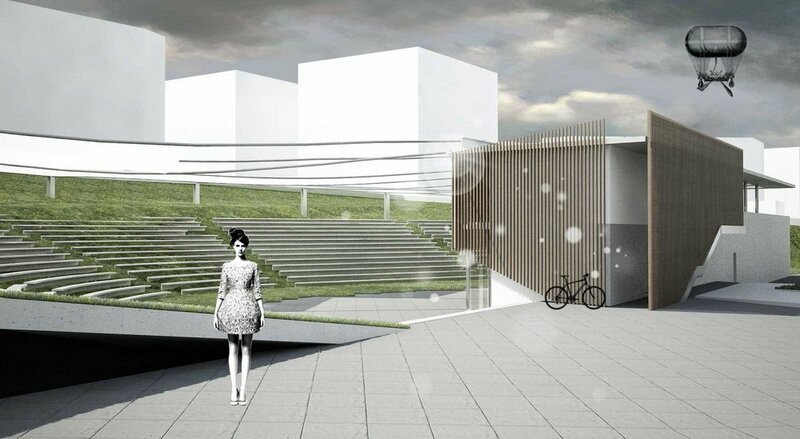 _ An introverted green space, open to the neighboring outdoor activities but protected from the dense urban fabric _ An open-air amphitheater for theatrical and musical performances and informal gathering _ Commercial support throughout the year for the business viability of the project. On the southern front of the square, to the Mitropoleos street, a green surface is lifted as a folded peel, creating an urban surface where are situated the center for the elderly, a commercial shop, the warehouse of ephemeral pavilions and a way out of the basement parking. The junction of Eleftherios Venizelos street and Karavangelis street, supports the ephemeral exhibition stands. The purpose of this study is the formation of the “Balkan Square” and the surrounding area of the Municipality of Neapoli, with a strong environmental and educational character. 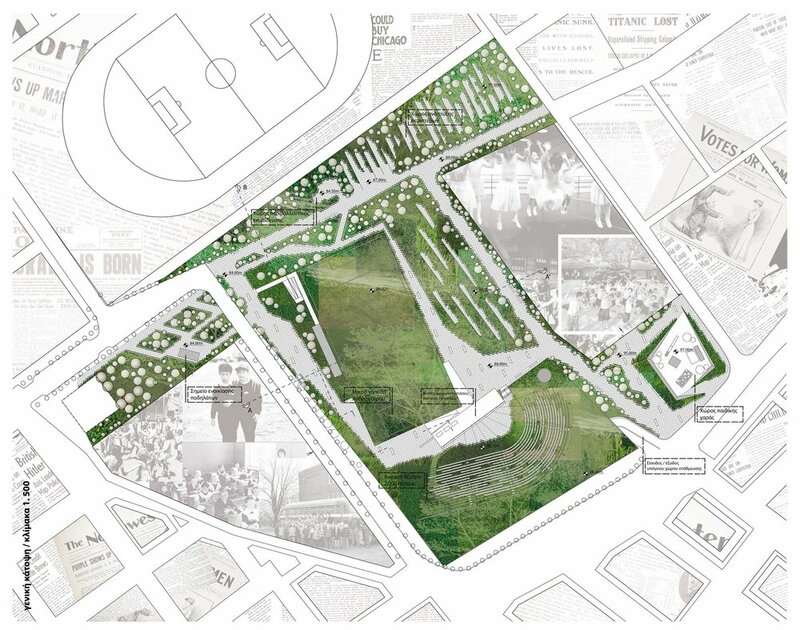 This approach can be described as a series of measures to create a green space which grows as a terrain with strong character and dominant nature and distinctive from the human environment. We suggest an increase in pedestrian corridors, and ultimately in creating a single, coherent network of footpaths. The network of walkways that we propose is designed more on top of existing roads and aspires to a life line for each “cell of internal traffic”, which at micro urban level achieves a number of objectives for the benefit of the public-collective interest.